FASHION STYLE AND WE !! : MAC Gets Artsy! Besides news of Refinery29's redesign(which looks amazing), R29 brings word of MAC's new collection. 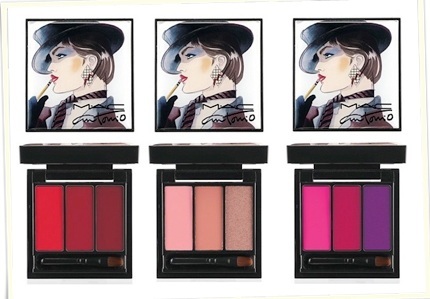 The limited-edition lip, eye and face palettes pay tribute to late Puerto Rican fashion illustrator Antonio Lopez, featuring drawings of his supermodel muses Marisa Berenson, Pat Cleveland and Jerry Hall. The collection arrives for one month only, starting Sept. 12. So if your makeup bag is in need of some culture, plan accordingly.